WHY SHOULD USL FANS BE EXCITED FOR THE LEAGUE’S BROADCASTED GAMES TRANSITIONING TO ESPN+? As a part of the ESPN+ platform, USL’s games will stand alongside top international properties, such as the English Football League, the UEFA Nations League and Major League Soccer. The move to ESPN+ delivers the thrill of the USL to a broader audience across the U.S. while providing our fans with access to a large assortment professional sports that include Major League Baseball, the National Hockey League and more for a small monthly fee. We want to deliver the very best viewing experience for our fans every weekend. Among the many benefits to ESPN+ like convenience and accessibility is the quality of broadcast – supporting HD broadcasts for the first time, which is a result of the league’s significant investments in USL Productions. Fans will still be able to follow their home team through local broadcast partnerships as part of the USL Television Network. Also, more matches than ever before will be available on ESPNU and ESPN3 through the USL Game of the Week package. This is a tremendous step forward for the USL as it continues to deliver the thrill of professional soccer to more fans and more markets across the U.S. WHEN WILL USL GAMES AIR ON ESPN+? The first USL matches will air on Saturday, April 14th 2018. Will games be available on ESPN+ following the live broadcast? All games broadcast on ESPN+ will be available for 30 days following the conclusion of the contest. MY CLUB HAS A LOCAL BROADCAST PARTNERSHIP, CAN I STILL WATCH GAMES ON TELEVISION? Fans will still be able to follow their home team through local broadcast partnerships as part of the USL Television Network. Any match on ESPN3 will still be aired through your local TV deal, but games on ESPN networks will be exclusive to those channels. WHERE CAN I WATCH USL GAMES OUTSIDE THE UNITED STATES? USL games will be available internationally through the USL Match Center and YouTube Channel, or on ESPN+ in applicable locations. WHAT HAPPENS TO USL GAMES BROADCAST IN SPANISH? Spanish-language broadcasts will not be streamed on ESPN+ at this time; Games will be broadcast on local linear channels only. WILL MATCH REPLAYS BE AVAILABLE ON YOUTUBE AFTER GAMES ARE COMPLETED? Full replays of USL matches will be available on the USL’s YouTube channel and in the USL Match Center seven days after the completion of the game. HOW CAN I ACCESS ESPN+? From Thursday, April 12th onwards, fans can access ESPN+ through the ESPN app or visit www.espn.com. WHERE IS THE ESPN APP AVAILABLE FOR DOWNLOAD? The ESPN app is available on iOS and Android devices. If you already have the app downloaded then you will need to run an application update on Thursday, April 12th. What are the ESPN+ supported devices? With enhanced design and mobility in mind, the new ESPN app and ESPN+ are available across mobile and connected living room devices — with an optimized experience for each platform. Roku devices are also available for use with ESPN+. How do I allow another one of my devices to access ESPN+? To allow another of your devices to access ESPN+, sign in on that device with your ESPN.com account username and password. 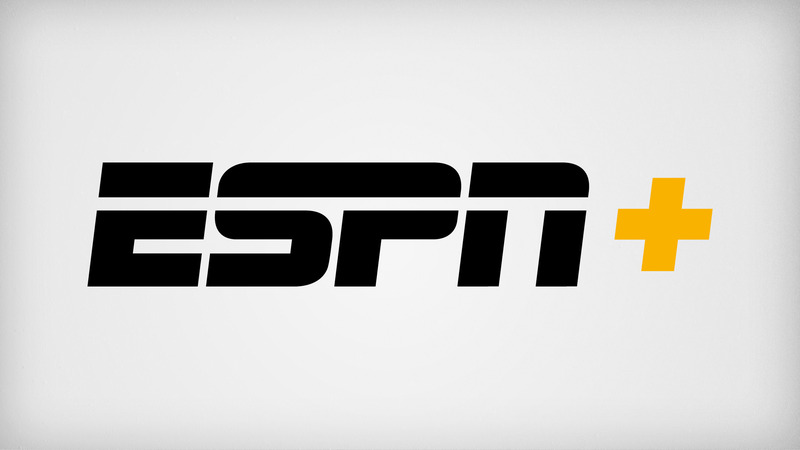 If you have purchased ESPN+ via in-app purchasing on Apple, Google or Amazon devices, you will need to first link your ESPN+ purchase to your ESPN.com account in the ESPN App before you can access ESPN+ on other devices platforms. You can create an ESPN.com account for free by clicking on the login link on ESPN.com. Can I watch multiple ESPN+ streams? Yes, you can access five streams from ESPN+ at any one time. Who do I contact If I have a non-USL related questions about the ESPN app or ESPN+? WHAT CAN I WATCH ON ESPN+ IN ADDITION TO USL? Subscribers to ESPN+ will be able to enjoy live games from Major League Baseball, the National Hockey League and Major League Soccer, Grand Slam tennis, Top Rank boxing, PGA Tour golf, college sports, international rugby, cricket, the full library of ESPN Films (including 30 for 30) and more.